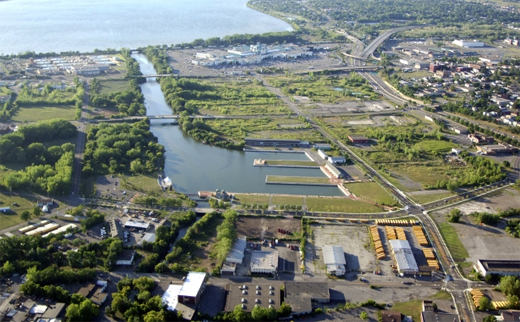 The Syracuse Inner Harbor has a long and storied industrial past -- salt production, manufacturing, storage -- all the while remaining largely hidden from the public eye. It was only within the last decade or so, aided by the city-initiated improvements to the immediate vicinity, that people have begun to take notice of this forgotten, beautiful waterfront property in the heart of the city. After years of less-than-successful attempts to jump-start the creation of a meaningful urban neighborhood surrounding the water, prospects are looking brighter: Three proposals were submitted to develop harbor land that has recently been turned over to the city. Two weeks ago, these proposals were presented to the public -- this post is a reaction to those presentations. 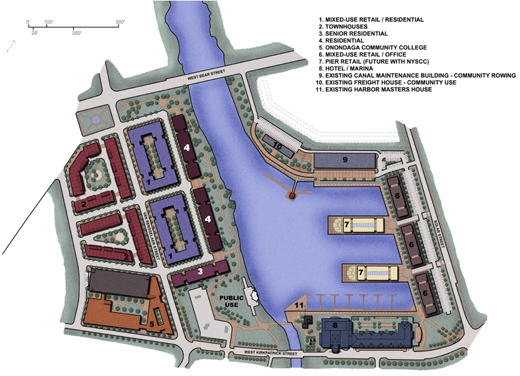 Let me first preface this by offering up applause to the three development teams that stepped up to offer their visions for improving the Inner Harbor. And, let me assure everyone involved, so that there are no hurt feelings or offense taken, that my comments are a review of the proposals for their urbanistic merits + potential to better the city and are in no way directed personally. The land up for grabs around the harbor was sub-divided into 5 zones in which developers could pitch plans for any or all of them. Of the three presented proposals, one was interested in a singe zone, while the other two went for the gold and desired all the available land. I'll start with the more modest proposal before tackling the two larger ones. The smallest of the three proposals sought to acquire the historic harbor maintenance building [pictured] and convert it into apartments. While apartments are must for any development around the harbor to be truly successful as an urban neighborhood, this building is terribly suited for such a use. Its long, low, transparent character would instead more successfully house a marketplace [think Boston's Quincey Market], a large retail tenant suited to such a space, or any other program that allows for constant public access. 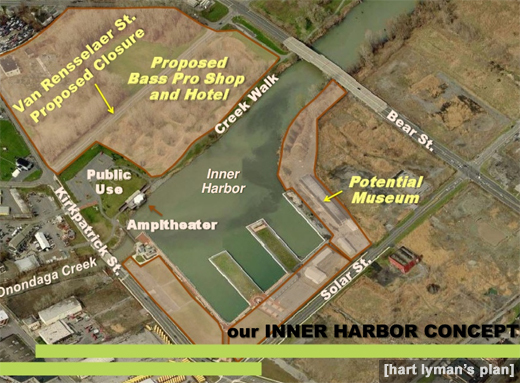 A second proposal [by Hart Lyman] attempted to wow the audience with a promise to bring a Bass Pro Shops to the inner harbor. There was little other substance to the proposal, as they said “other big names will always follow a Bass Pro,” and it was only briefly mentioned that housing and other uses would be integrated. The Bass Pro would be located on the southwest side of the harbor, closing off Van Rensselear St – I imagine this is because they did not try hard enough to fit the required footprint within the area between Van Rensselear and the creekwalk. The blocks are already absurdly large in the harbor’s vicinity; closing another street would be a huge detriment to the navigability and walkability of the area. I’m not entirely familiar with the Bass Pro store or its intended market, but from what I gather, it does not typically draw from the urban market, nor would it contribute to a meaningful neighborhood; this location is appealing to them solely due to its proximity to this waterway and the entirety of the canal system. If done well, I suppose it could be an interesting tourist draw, although I’d prefer a draw more along the lines of a Crate&Barrel or an IKEA, but I’m partial to well-designed furniture. The potential major plus for this project is the design team that has been assembled, with Cook+Fox being the shining star. When masterplanning something of this scale, there is a lot of potential to create a bland, uniform design aesthetic, rather than something varied and interesting. I fully believe that, with Cook+Fox at the helm, the harbor wouldn’t suffer from an architectural standpoint. 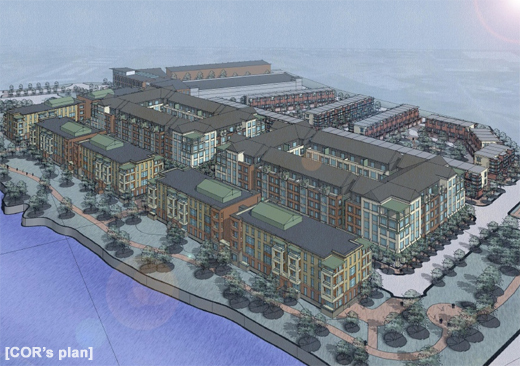 The proposal did not show any renderings, however, so we cannot be entirely sure. The third and final proposal [by COR] was by far the most developed of the bunch. 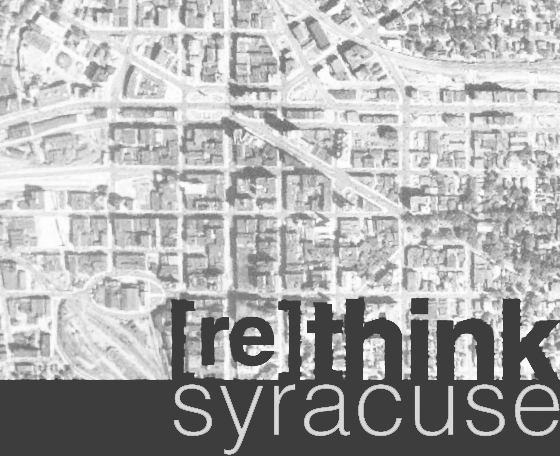 They presented a thoughtful plan to introduce additional streets to the grid, breaking up the large swath of land to the southwest into manageable blocks. A dozen or so renderings gave a flavor of the building massings and design – the southwest portion [pictured above] being much stronger than the eastern and northern portions. The southwest portion’s density allows for a true neighborhood to form with ground floor retail and plenty of housing. Notably, the plan also calls for a satellite OCC “campus” to fill one of these blocks, infusing students into the neighborhood. The downside of this portion of the plan being its architectural design – although the buildings show some interest, they are on the verge of being too uniform and overall bland, detracting from its feeling of urbanity in favor of a suburban apartment complex. Ideally, each building would be designed with its own character, completely different than all the others. The other portions of this plan leave a bit more to be desired. On the northern side of the harbor [adjacent to the piers], a row of 3-story retail and office buildings would edge the promenade, but unfortunately would be pulled back from the street with a parking lot in front. While parking would of course be a necessary component, placing it between the building and the street creates a streetfront that is very suburban in character. Solar Street should have a strong urban edge in order to better connect to the existing Franklin Square neighborhood. Same goes for the corner of Solar and Kirkpatrick -- corners are the most important sites in an urban neighborhood and ought to have a building to anchor them. In this case, the diagonal walkway can and should remain to offer access to the harbor; the building design can respond accordingly. I must say, though, that utilizing the harbor maintenance building to house community rowing facilities could be a winning idea -- having the energy of rowers in and out of the water could add a touch of "real" to the harbor, giving it a more dynamic feeling for residents and visitors alike. Both this proposal and the Bass Pro proposal bring some interesting cards to the table. The selection committee has recommend the COR plan, but it still needs to be reviewed and approved/denied by the mayor and the common council. Perhaps, though, the harbor would be better off in the long run if multiple developers are allowed to dive in under the direction of a single masterplan? I have some additional suggestions in the works -- look for a follow-up in the near future. I couldn't agree more about the problems with the parking lots in the current COR plans. Those would really take away from the neighborhood feel. Details like that are the difference between success and failure. The COR plan looks ambitious and exciting. But, they should add a small, well-designed playground. Make people (including families with kids) want to live there - or at least add a reason for folks to make it a destination. The COR plan looks ambitious and exciting. But, with that much residential space they should add a small, well-designed playground. There are plenty of families with kids who enjoy urban living. Make them want to live here too. Or, at least, add another reason for folks to make it a destination. Jason's points are well taken. I never saw the RFP, but obviously it didn't require or maybe even suggest those things that he righty points out. Those shortcomings might be addressed by a two stage completion in the future namely to have a programing schematic phase first where the first phase is done by professional planners, two or three public meetings held to critique the plans and the accepted plan with some wiggle room sent out to developers and project managers. Having said that, I think we need to applaud the city and who ever was responsible, Andy Maxwell? and the Mayor, for a giant step forward in moving our city forward. It was a gutsy decision to do this and we should repeat the process in other areas of the city. It argues strongly for site specific zoning such as the Lake Front Zone but maybe with even more specificity if we do the two stage process above. The J&A proposal – not a chance. Don’t need a bandage!! Hart Lyman proposal – colossal mistake. It will be Jungle Jim vs urbanism. It makes more sense for them to build near Destiny USA. COR proposal – good traffic mix but architecturally (you are right) each building should have its own character to prevent a campus or institution look and feel. If the plan cannot do without OCC then a high-tech parking garage (vertically) should be an integral part of the design. Jason, I think the points you make about differentiating the architecture, and improving the urban design along Solar Street, are both worth heeding. Thought it isn't far from Downtown, this area could easily be isolated from any of the adjacent neighborhoods, given the density of infrastructure, the proximity to the mall, and the 'dead zone' separating it from Franklin Square. The success of this project's integration into the Downtown hinges on a strong urban design linking it, both aesthetically and functionally, with Franklin Square and the Downtown beyond. To this extent, densifying the urban edge of Solar Street and ensuring a high degree of walkability and connectivity to the creekwalk are all good suggestions. Moreover, the issue you raise of a masterplan within which multiple developers work is an interesting one. When I first heard of this project, I wondered if it was a subtle acknowledgement that Destiny USA's expansion plans would never be realized. (You can see a schematic 'masterplan' for this same area, provided by Destiny USA, here: http://blog.syracuse.com/news/2007/07/0710destinyplan.gif ) A city-produced masterplan is an intriguing proposition, especially as it might be the first time since the 60's when the City itself offered such as specific development masterplan. I believe there was a public hearing this past week on these proposals, I was wondering if you or any of your readers had a chance to attend, and could relate what happened. I look forward to seeing your followup. Also -- do (or would) people really go bass fishing in the lake/creek/canal? Yes, I know people who fish in the creek.